Claiming to have all the tools you will need to get the job done on the punt. Its basically a bunch of ways to boost your odds and get insurances on your bets placed. But what tool is right for my bets? Great question, see below… Or skip straight to the toolbox here. The Jump off option gives you the chance to cancel your single fixed-odds win bet. This is any eligible Australian or New Zealand thoroughbred race. Simply Jump Off your selection before the timer ends and bang!Stake returned. 1. Navigate To Race Field and Expand ‘My Bets This Race’ – If you’ve placed a bet on an eligible race, the ‘Jump Off’ Icon will appear above the main field in the ‘My Bets This Race’ module. Click ‘My Bets This Race’ to view the bets you can Jump Off. 2. Once Your Race Begins, The Jump Off Timer Starts – As soon as your chosen race has started, the timer will begin and the ‘Jump Off’ button will appear below each eligible bet that you have placed. 3. It’s Time To Jump Off – Click the Jump Off button designated to the eligible bet of your choice. Select ‘Confirm’ and you have successfully Jumped Off. 4. You Jumped Off, Bet Stake Returned – You have jumped off your bet and your full stake will be returned as soon as the race result is settled. Selecting the backup feature will give you the option to pick a second runner as little but of extra insurance on a fixed-odds win bet. 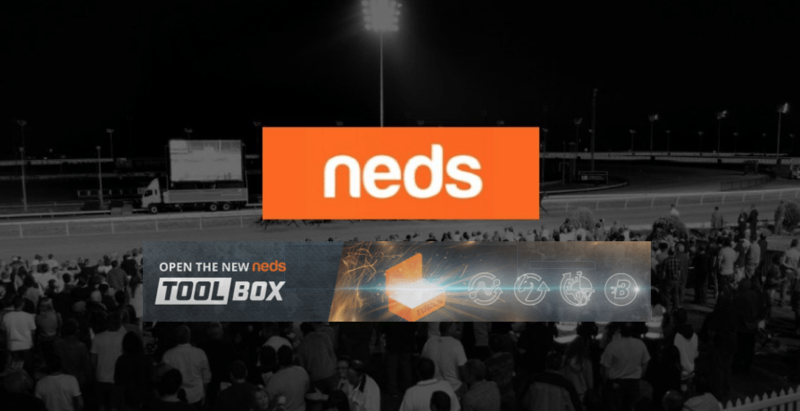 Select one horse and get to pick another pony as your Backup selection, and if your selection finishes second to your Backup runner, Neds will give your stake back up to $500. Not as a bonus bet. 4. Keep An Eye One Your Backup Bet In Pending Bets And Bet Statement – Your Backup runner will appear in bl.0ue below your first selection, in your list of pending bets and your bet statement. Fluc Up tool will give you the chance to take advantage of a boosted fluctuation in the market, after you have placed the bet on an eligible Australian or New Zealand thoroughbred race. So if the fixed odds drift after your bet is placed, Neds Fluc Up can be used to lock in the next highest price that is on offer. 2. Select Fluc Up, Lock In Higher Odds – Expand the Fluc Up module on your eligible racing bet and the inflated price will be displayed. Price Boost option will let you the punter have the opportunity too take advantage of an increased price on any fixed-odds runner of your desire, on eligible races.